I am normally a very private person. I don’t like releasing details about my exact age, relationship status, etc. online. 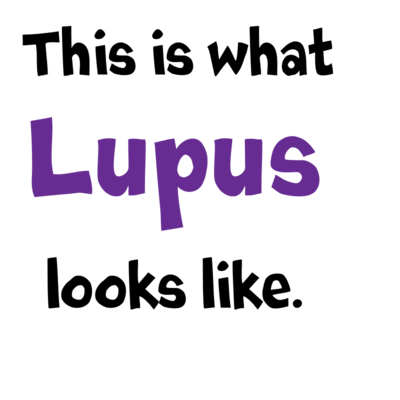 So for those who know me it must be puzzling to see me post so much information about lupus. The fact is, I was diagnosed with lupus nearly ten years ago. The vast majority of people I’ve met in those ten years had no idea that I had lupus, and I generally tried to keep it that way. So why the sudden change? When I was first diagnosed with lupus, it was a relatively minor case. In early 2010, however, it suddenly flared out of control. And as I’ve come to deal with the various manifestations of this new and improved Lupus from Hell, I’ve come into contact with quite a lot of other lupus patients. I’ve also been forced to come out to my friends and, to some extent, my colleagues, about my illness. I simply don’t have the option of hiding it anymore, since I often have to leave work briefly for appointments at doctors' offices, clinical labs, etc. After thinking and debating with myself for a long time, I decided that quite possibly the most valuable thing I can do for the lupus community is to come out about being sick. So many lupus patients try to hide their illness for years, as I did. While this is understandable and often necessary, it does mean that most people know little if anything about the disease. So I made the conscious decision to share my experiences as an effort to say, “This is me. I am sick. There are many, many people like me all around you.” I generally do not look sick. I am not elderly, overweight, a smoker, or any of the other things people might (justly or otherwise) associate with chronic illnesses. Before this flare hit, I worked out a bare minimum of five times a week. If I can be diagnosed with a chronic illness, so can anyone else. By choosing to publicly write about my illness I am putting myself at risk from anything from denial of health insurance to (future) workplace and/or hiring discrimination. I realize that. But there are 1.5 million lupus patients in this country, and there have been no new drugs approved for lupus in 50 years. This is my admittedly small way of standing up and saying that something needs to change. Since I am in a field which is not physically demanding, and thus my employability is not as likely to be significantly damaged by my acknowledging a chronic illness, I've chosen to take the risk; I am fully aware that many of my fellow spoonies do not have this freedom. I saw this article and thought I would pass it on to you. I know full well how many scare-mongering pieces there are on the internet, but this seemed to be fairly genuine. My goodness, I completely missed this comment… a year ago! Actually, I am very much aware of this problem; I get rashes if I sit directly under CF bulbs. But thank you very much (albeit very late) for the link!